DIRT ACTION is wired to always evolve. We aren’t just fist pumping long-past glories over and again. Like you, we have a history, but we are for the now and tomorrow. 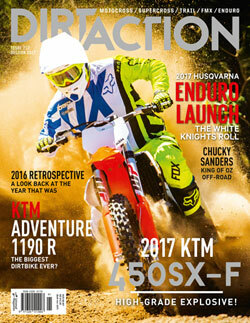 DIRT ACTION is Australia’s leading and most exciting motocross, supercross, trail and enduro media channel for dirt biking enthusiasts.